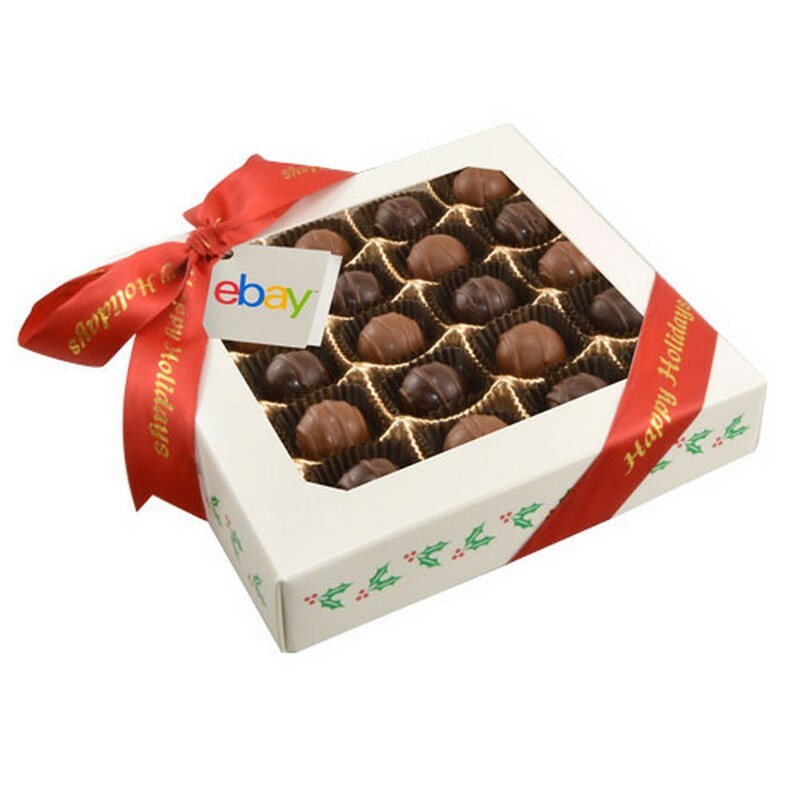 25 chocolate truffles in a gift box. Truffles come in milk or dark chocolate. Hang tags available in gold, silver and white. Ribbon colors available in: Black, Burgundy, Emerald, Ivory, Navy, Orange, Pink, Purple, Red, Royal, White and Yellow. Hang Tag: Set-up charge $75 (up to 3 colors). Re-order set-up charge $30. Ribbon: Hot Stamp (Gold and silver only) Set-up charge $60. Re-order set-up charge $30.